Samantha M. Benton | Stahancyk, Kent & Hook P.C. the Oregon Judicial Department, Office of the State Court Administrator, Juvenile and Family Court Programs Division where she was the Family Court Program Manager. Prior to working with the Office of the State Court Administrator, she clerked for the Honorable Valeri L. Love at the Lane County Circuit Court, primarily in juvenile dependency, juvenile delinquency, and criminal dockets. Samantha graduated from the University of Oregon School of Law in 2012, with a Certificate of Completion in Estate Planning and was Editor-in-Chief for the Oregon Review of International Law. During law school she participated in the Probate Mediation Clinic, gaining valuable experience in dispute resolution and probate matters, and the Prosecution Clinic, where she was able to practice trial skills. She participated in the National Tax Moot Court in Florida, and was a regional finalist for the ABA Client Counseling Competition. She earned her B.A. in History from the University of Puget Sound, and before attending law school worked in state and federal government, most recently as Chief of Staff to State Representative Scott Bruun in the 2009 Oregon Legislature. 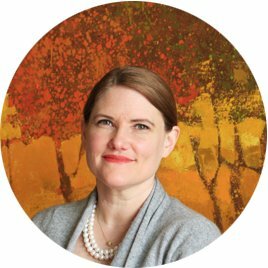 Samantha is an active member of the Family Law and Estate Planning section of the Oregon State Bar, and member of the Marion County Bar Association. Currently, she is the Ethics Committee Vice-Chair and Government Relations Vice-Chair for ABA Family Law Section. She also serves on the Domestic Violence Subcommittee of the State Family Law Advisory Committee. Through the Willamette University College of Law‘s Mentor Program, she was voted an outstanding mentor in 2017. In 2014-2017, she was on the Probate Modernization Committee at the Oregon Law Commission. In 2014-2016, she was on the Adoption Records Committee, also at the Oregon Law Commission. She is a volunteer at the English Springer Rescue America, and a member of the PEO (Educational Scholarships for Women). She enjoys cooking, music, museums, hiking and running with her Springer Spaniel Alice.